To communicate effectively with the general US population, your writing should be at a 6th-8th grade level. Thankfully, it’s easy to check in Word. 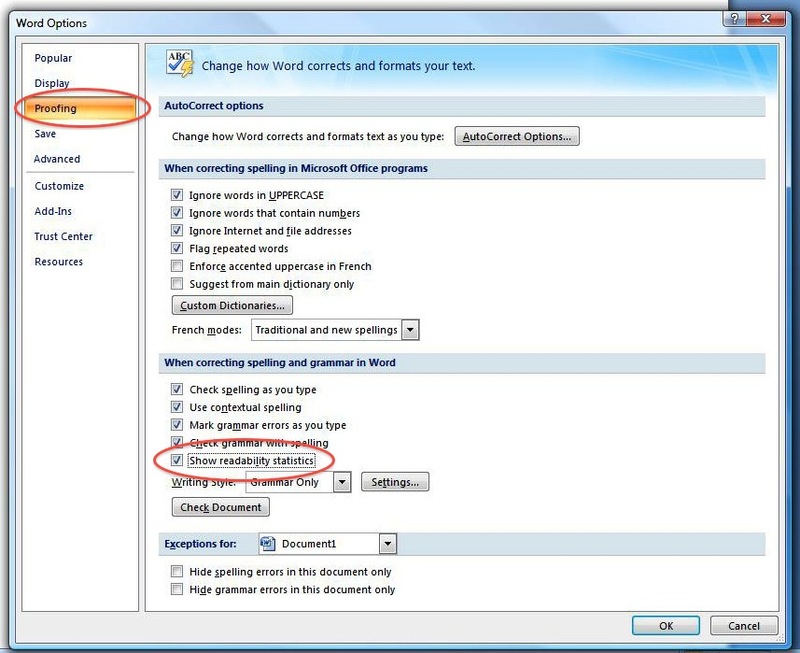 It’s as simple as: change a few settings in Word, copy and paste your content, and hit spell check to get your content’s reading level. Advanced is > 8th grade reading level. 1. Click on the round button at the top-left and click on Word Options. 2. Click on Proofing, then put a checkmark next to show readability statistics then click OK.
3. 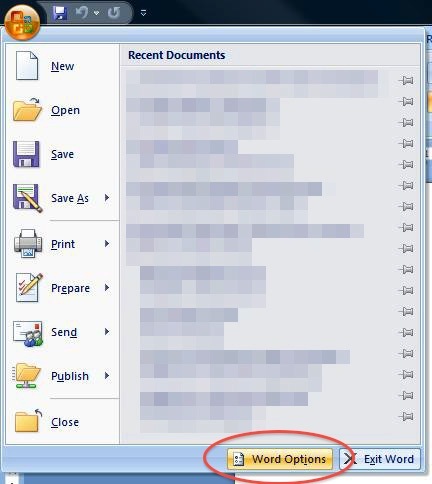 Copy and paste your content into Word. 4. 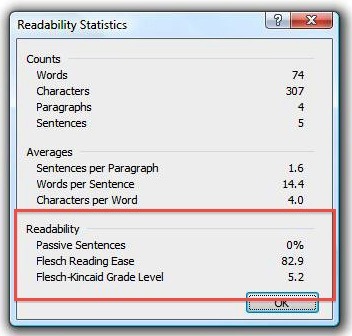 Run spell check your document and at the end you’ll find the Flesch-Kincaid grade level. 1. Go to Word > Preferences. 3. 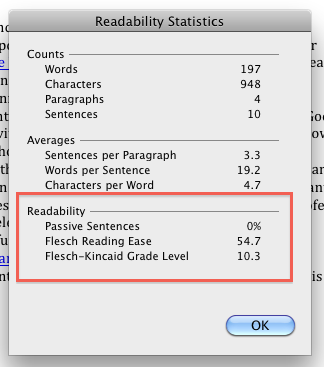 Place a checkmark next to show readability statistics and click OK.